The FOUB Group builds Internet-related businesses. What makes the The FOUB Group unique is the quality and talent of its team, we have a team of young and vibrant professionals which deliver cutting edge web applications across the globe. Since our inception, we have already designed many successful business websites, corporate websites using all latest tools and platforms. We have generated high sales for our clients and are an asset to their business thus prooving our experience and expertise in web designing services. We work with creative and talented team of web designers those have knowledge of latest web standards and practices so to offer best services in industry. The FOUB Group seeks out and executes on cross-border opportunities involving the United States and India. We take great pride in our collaborations and partnerships, building lifelong relationships that are mutually beneficial. 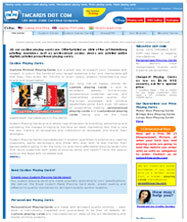 This site is about Web Services India. Foub Interactive Computers Pvt. Ltd., Mumbai, India.